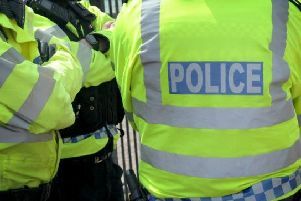 Three people have been arrested on suspicion of drug offences after police stopped a car in Leamington last night, Sunday July 5. Police stopped the car on Queensway before seizing cocaine and cannabis. A 20-year-old man from Leamington was arrested on suspicion of possession of class A drugs with intent to supply, a 24-year-old man from Leamington was arrested on suspicion of possession of class A drugs with intent to supply and drug driving - and a 17-year-old girl from Worcester was arrested on suspicion of possession of class A drugs with intent to supply. Anyone with information that could help with the police's investigation is asked to call 101.